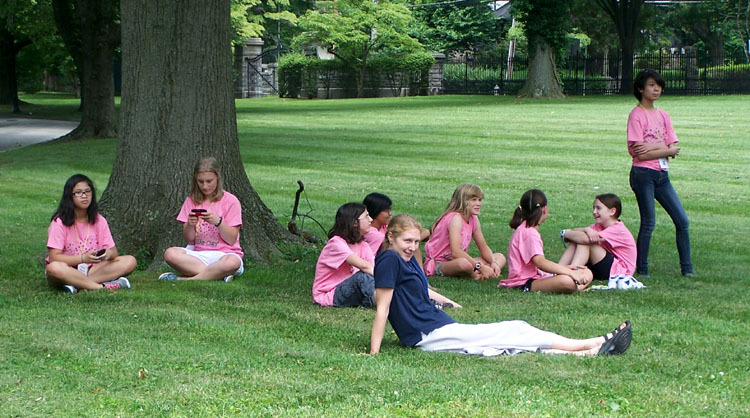 Youths from across the Archdiocese of Philadelphia attended the Brothers of Borromeo and Girls of Goretti Vocations Conferences (BBVC/GGVC) at St. Charles Borromeo Seminary in Wynnewood on Wednesday, June 26. 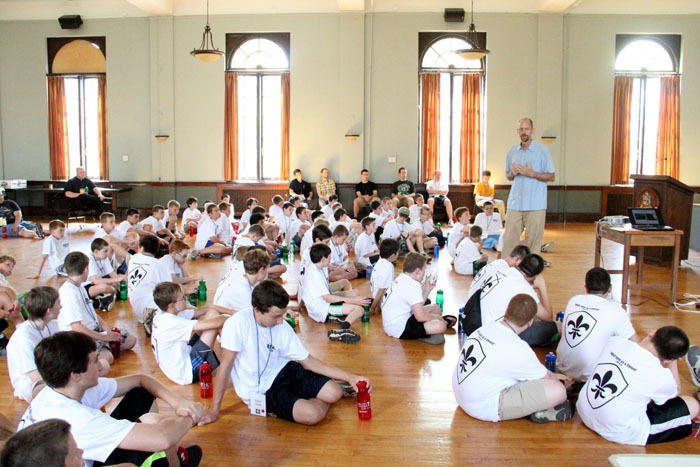 Boys and girls from grades 6 through 8 enjoyed activities, sports, prayer, Mass, food and vocation stories from seminarians and religious sisters. The theme for the day was “Hold faith as a shield” (Eph. 6:16). 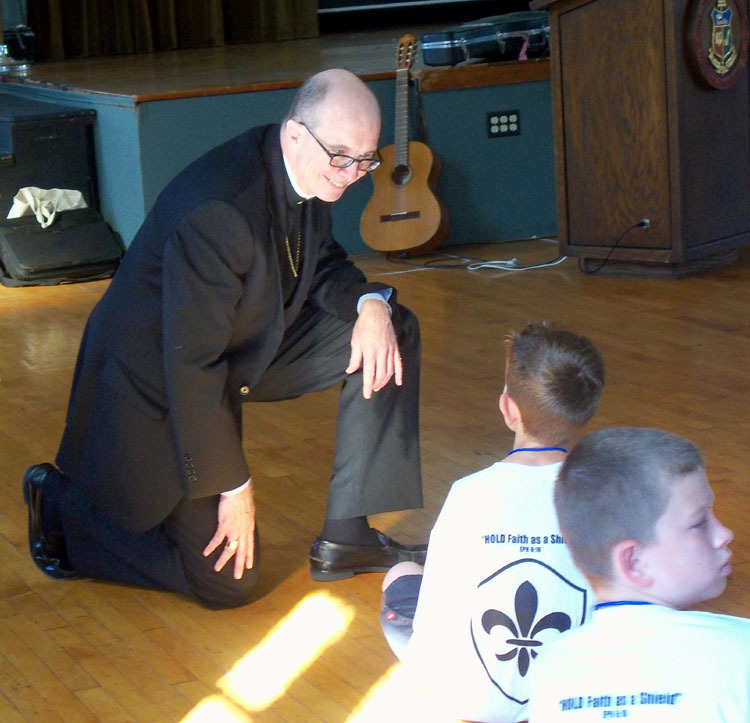 This was the seventh year for BBVC, and the first year that it was co-sponsored by the Vocations Offices in the Archdiocese of Philadelphia and the Diocese of Allentown. 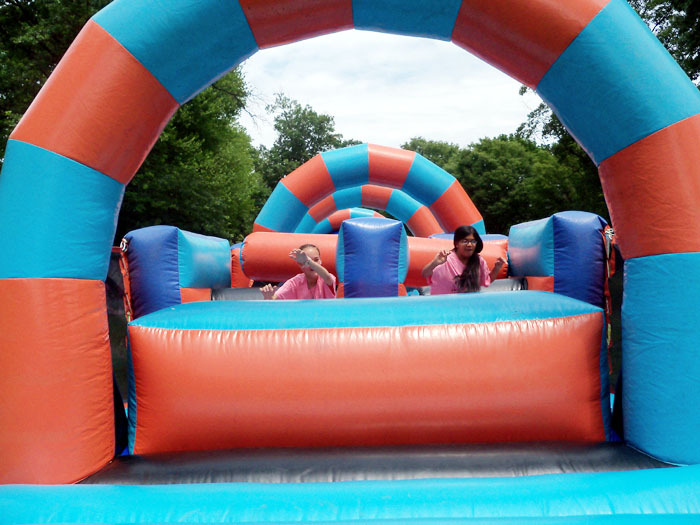 Youths had the unique opportunity to spend the day in fun and fellowship with the seminarians and priests, as well as religious sisters from area congregations, to hear about their vocation stories and to explore faith in a fun way. 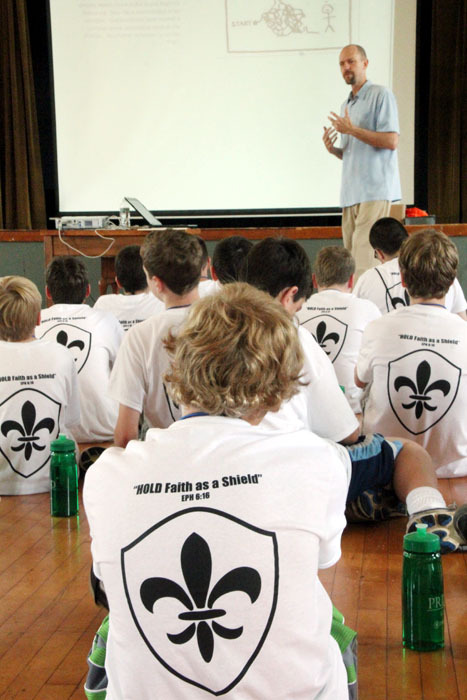 Boys at BBVC heard guest speaker Todd Painton from Stewardship: A Mission of Faith. 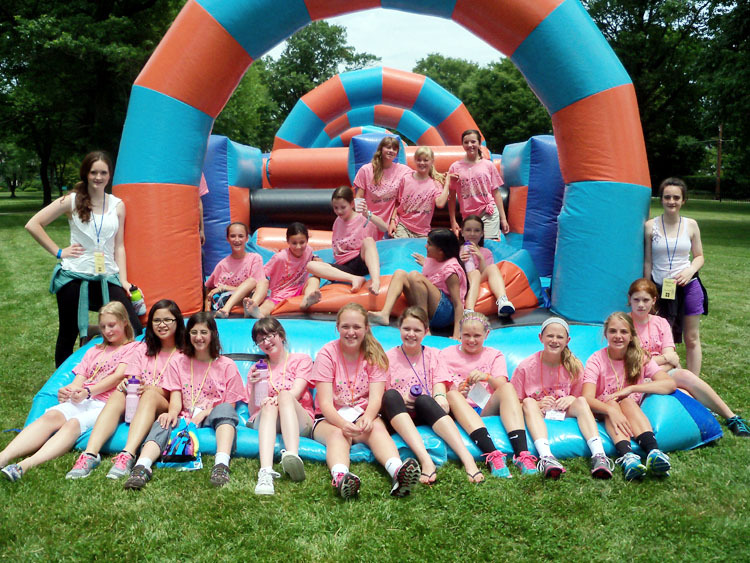 The second annual GGVC is named after St. Maria Goretti, patron saint of teenage girls. This year was the first time it was held in conjunction with the boys’ event, making it easier for families to bring their children to one location on one day. 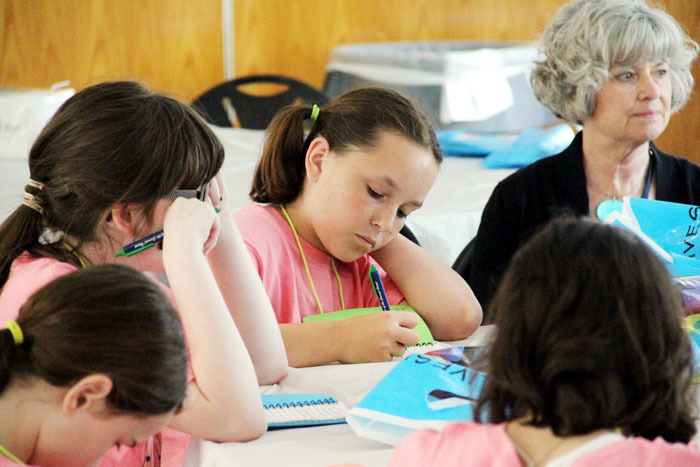 Similar in design to the boys’ conference, girls at the GGVC learned about vocations and more specifically the call to the religious life. The girls interacted with sisters from a variety of religious congregations and asked them questions. The girls were treated to a talk from guest speaker Sister Regina Ward, R.S.M. Bishop Timothy Senior, rector of St Charles Seminary, chats with one of the young men attending the conference. 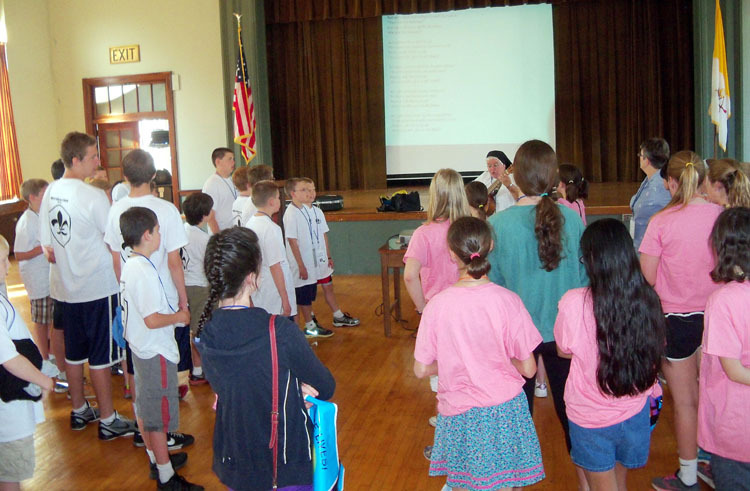 Sr. Lisa Valentini, a Missionary Sisters of the Sacred Heart of Jesus from Reading, starts the day with music for both the boys and the girls. 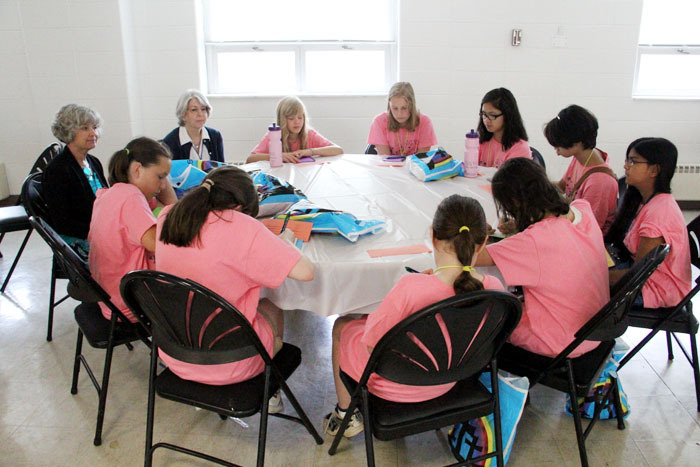 The girls from GGVC work on some faith base bonding exercises. Young ladies from GGVC enjoy some compeitive fun in the blow up obstacle. 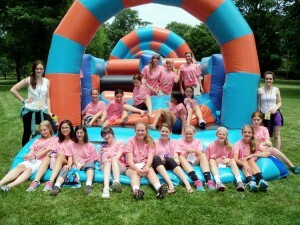 The girls who attended GGVC get together for a group picture. The theme of the conferences was “Hold faith as a shield” based on the bible verse from Ephesians 6:16. All those attending got to make their own sheild that represented them. 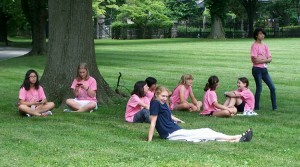 The girls at GGVC take a break under a shady tree to get to know one another a little better. Todd Painton from Stewardship: A Mission of Faith was the guest speaker for the young men at the BBVC. 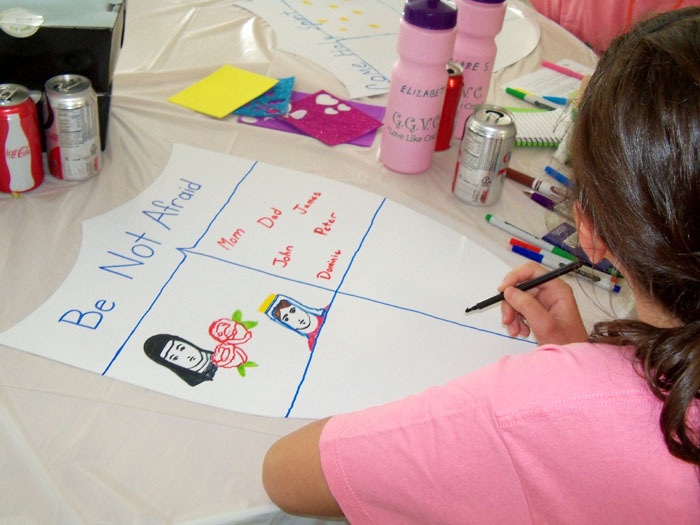 During the GGVC young ladies were able to learn more religious congregations with sisters from several different orders. Amanda Blumenstein from St Jerome Parish in Northeast Philadelphia works with her group on a faith building exercise. Jacob Painton (top right) from St Ignatius in Yardley is all smiles during an outdoor game at the BBVC. 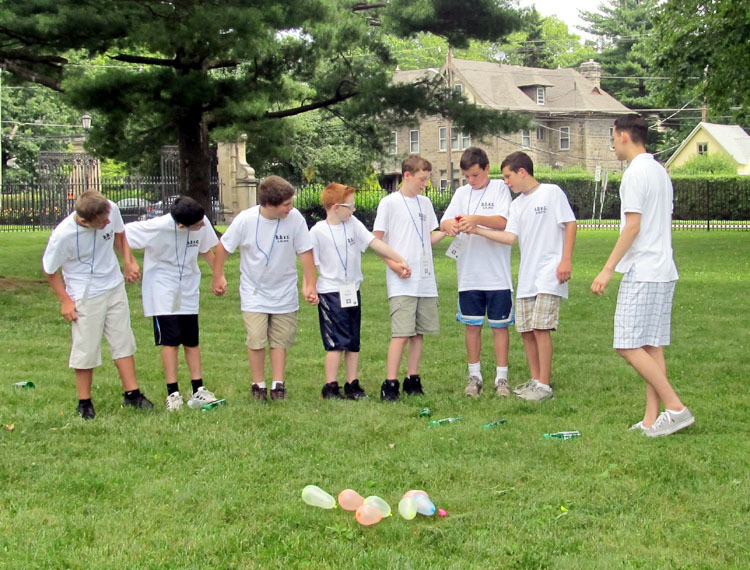 Isiah Monastra from St Agnes Parish in West Chester enjoys a bonding exercise with fellow teamates. 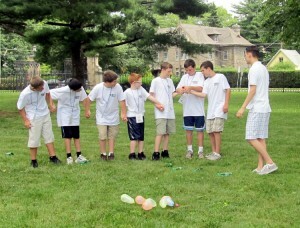 On the front lawn of St Charles Seminary boys from the BBVC get to work on teambuilding exercises. 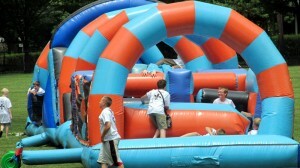 The young men have a chance to bounce around during the BBVC. The young men start their day with pray in St Martin Chapel during the BBVC. Fr. 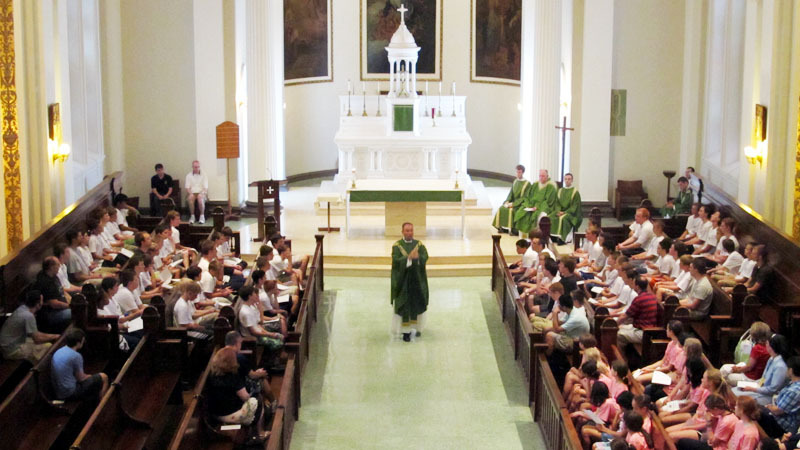 Kevin Gallagher celebrates mass in Immaculate Conception Chapel after a faithful fun filled day.